The Staples Center in Los Angeles will host the WBC heavyweight world title fight between Deontay Wilder and Tyson Fury on December 1. 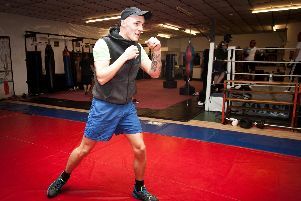 The bout between the 32-year-old American champion Wilder and Morecambe's Fury, 30, was confirmed last weekend. But the venue has now been named with the Staples Center, home of NBA sides the Los Angeles Lakers and the Los Angeles Clippers, getting the nod. On hearing the fight venue being confirmed, Fury tweeted: "It's on baby! I'm gonna knock @BronzeBomber out he ent never fought a puncher like me. That I promise." The arena's attendance record is 20,820 for the fight between Antonio Margarito and Shane Mosley in January 2009. 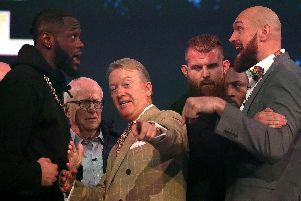 The promotional tour for the Wilder-Fury fight gets under way in London on October 1. Wilder will have held the WBC title for almost four years when he meets Fury, with both fighters boasting undefeated records. Anthony Joshua holds the division's other three belts and retained his WBA, IBF and WBO heavyweight straps with a seventh-round stoppage of mandatory challenger Alexander Povetkin last weekend.